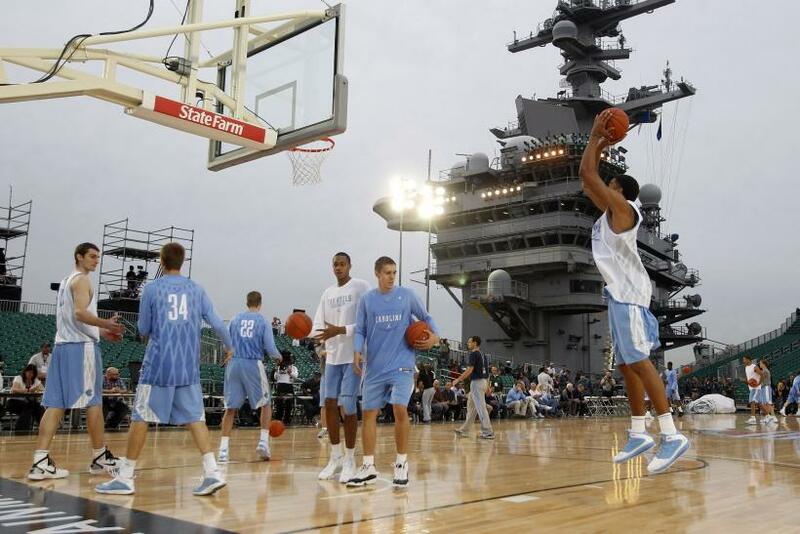 On the eve of the 2016 NCAA Basketball Tournament, U.S. Navy personnel are being warned by military lawyers that they could face disciplinary action over “prohibited” March Madness gambling pools. While some state laws allow pay-to-play office pools, the Navy is reminding its sailors that if they partake in gambling on government property or on ships at any location they will be in breach of the Uniform Code of Military Justice. It’s expected that around $9.2 billion will be wagered on this year’s tournament, according to the American Gambling Association, which said only $262 million of that will be bet legally at Nevada sports books. But the huge amount of illegal gambling generally has no consequences. “Laws on office pools vary by state, but even where it’s illegal, it’s hardly ever prosecuted,” Gaming Association spokesman Chris Moyer told the Virginia State Pilot Tuesday. The issue could be more complex for sailors who are stationed in a state where office gambling is legal, although military codes say that “violations of the regulation could result in adverse administrative action, or even disciplinary action” under the Uniform Code of Military Justice, which applies to military personnel regardless of state law. Despite the rules, action against sailors is rare. Jennifer Zeldis, a JAG spokeswoman, told the Pilot that her office was not aware of anyone who had been prosecuted in military court for entering an office pool, but said that it does contravene some serious military orders. Sailors could be charged with violation of conduct unbecoming an officer, disobeying a lawful general order, or fraternization if enlisted personnel were involved. If those codes are broken and pursued by military officials, the maximum penalties are one to two years’ confinement, along with dismissal and forfeiture of pay.